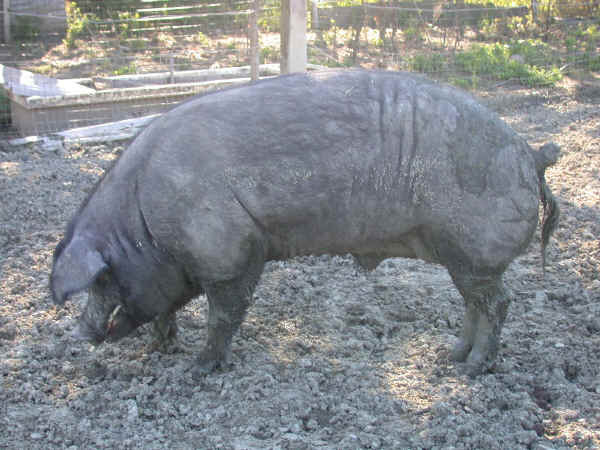 Parma swine breeding historically represents a deep-rooted documented activity since the end of 1400. At that time black coated pigs were particularly appreciated as they reached a considerable weight (190-240 kg). From the second half of the nineteenth century onwards, black pigs were gradually replaced by white stock from northern Europe, as they were more productive and profitable. But since the half of the 90s a recovery plan of the black pig breed from Parma started, so that these animals have come to enrich the population around such area. As to the number, the present day population, which has been defined like the real founder of the hybrid breeder register, is made up of a few hundreds examples, mostly half wild, bred in about twenty farms. A strong animal of medium-large size with a good balance of both thigh and shoulder. The skin colour is dark grey and the coat is made up of sparse grey turning to black bristles.